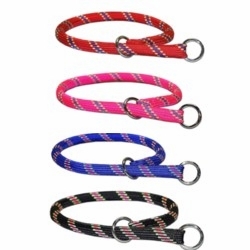 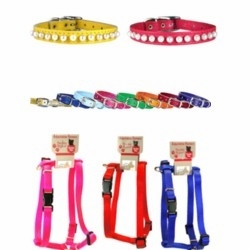 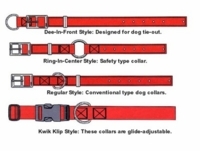 We have dog collars made out of Sunglo, Leather, Nylon, Zeta, Perma and more. 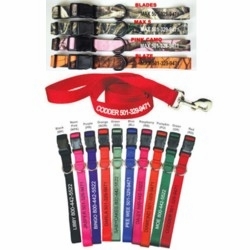 Some of out dog collars can have a name plate attached or have the name embroridered on to the collar. 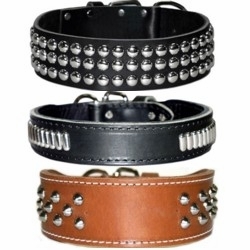 Some are fancy leather with rhinestone, spikes or studs. 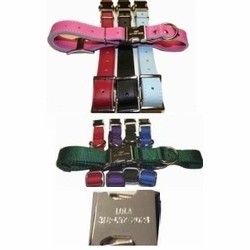 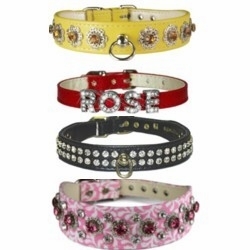 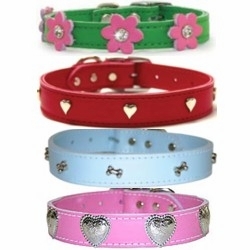 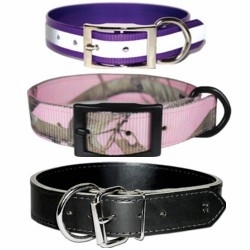 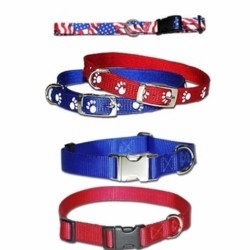 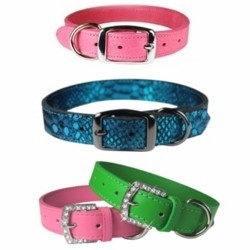 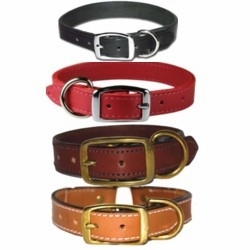 We have dog collars to fit all size dogs.